People do some pretty wicked, cruel and unkind things because of jealousy. But can you imagine comforting the one who caused your pain? Here is Joseph, who was sold into slavery by his own brothers, telling them not to spend time in shame or remorse about it. God did it. Or God allowed it. We can do the same thing today, however, it is not usually the same sentiment. Instead of trusting God when we are mistreated, we can become suspicious of God’s goodness, instead. Funny how the blame for the evil others do because of jealousy is usually placed on God. He should have done something about it. The inner underdog in all of us doesn’t want the unfairness or the unkindness of jealousy to befall anyone. And yet we’ve all felt the green-eyed monster rise within the walls of our own minds and also felt the effects of someone else making us the target of their envy. Joseph wisely saw that everything evil can be turned around for good in the hands of our great God. Joseph trusted God despite the hardships he endured. And those who were blind by their jealousy, who thought they would gain from doing evil, saw the mercy of God after a lifetime of regret. Things are never out of control no matter what evil times befall us. God holds our times in His hands and He is sovereign over it all. Allowing free will and the ability for man to choose evil does not mean God is powerless. It means He is incredibly powerful to let us choose righteousness or unrighteousness in how we live and still turn what was meant for evil for good. 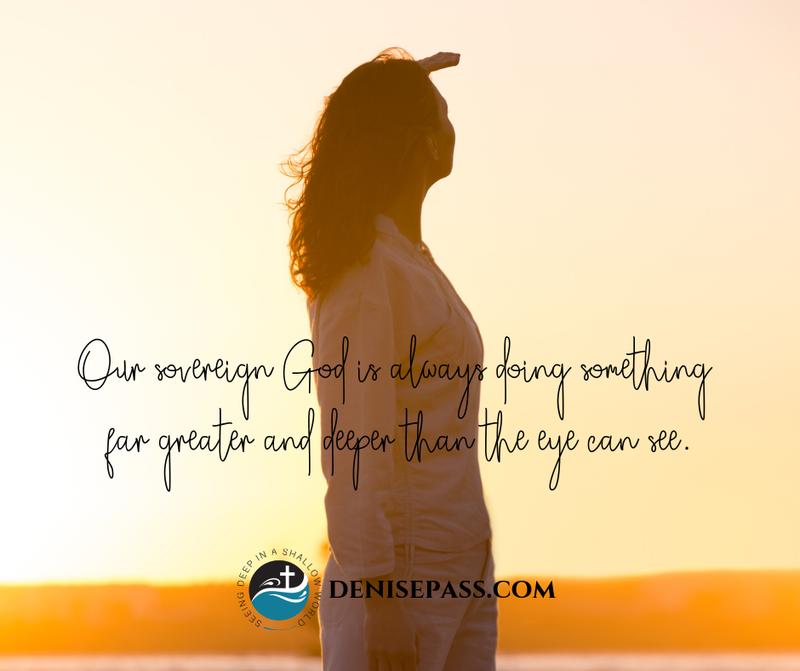 When we see the sovereignty of God, we understand His purpose for our lives and trust Him when it feels like we’ve been forgotten or forsaken. And His purposes are always redemptive. Even in the suffering Joseph encountered, God was planning salvation for both the Israelites and the Egyptians. Are we willing to suffer that others can be saved? Or is our comfort more important? Can we see and trust the sovereignty of God when life hurts? The reality of the sovereignty of God is the greatest comfort. Our God sees us. Our God is with us. Our God is for us. No matter how things seem. And He is always doing something far greater and deeper than the eye can see. The purposes of God trump man’s plans every time. What a good God!